Wendel is proud to announce that David Duchscherer, PE is celebrating his 50 year anniversary with the firm in 2018. Dave is a Professional Engineer in numerous states and Chairman of the Board at Wendel, as well as being an expert in Public Transportation projects. He has been involved in countless projects across the country. Most recently, the Cinder Bed Road Bus Maintenance Facility for the Washington Metropolitan Area Transit Authority received Diamond level recognition from the American Council of Engineering Companies (ACEC) of New York. He was also an integral part of the completion of the Niagara Falls Intermodal Transportation Center. This project was over 20 years in the making and completed in 2016. Dave began his career in 1968 with Duchscherer Oberst Design, which merged with Wendel in 2000 to form Wendel Duchscherer Architects & Engineers, which today is known as Wendel. 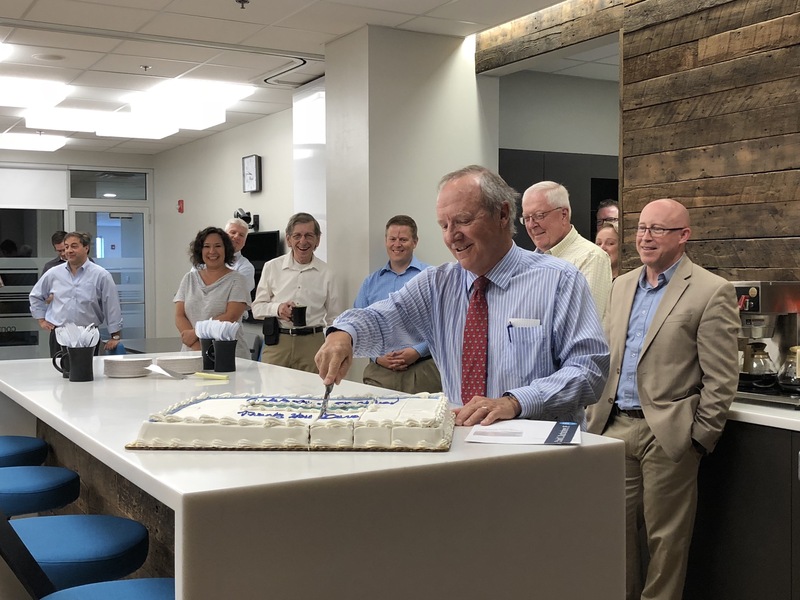 Throughout his 50 year career, Dave has seen the engineering profession evolve from project focused solutions to sophisticated, cost effective, environmentally sensitive designs. His passion for transit design is as evident as ever today with his continued leadership in many cutting edge initiatives throughout the company. At the University at Buffalo, he serves as Wendel’s representative on the progressing driverless Olli Bus project, a 3D printed autonomous vehicle. He also continues to present both locally and across the county on engineering issues to various groups including the American Public Transportation Association (APTA), the State University of New York (SUNY) Physical Plant Administrators Association and the Niagara International Transportation Technology Coalition (NITTEC).